This paper provides an overview of and perspective on the concept of well-being at work. Well-being is a term that reflects not only on one’s health but satisfaction with work and life.  Well-being is a summative concept that characterizes the quality of working lives, including occupational safety and health (OSH) aspects, and it may be a major determinant of productivity at the individual, enterprise and societal levels. Based on a review of the literature and a recent conference, we suggest a model linking workforce well-being, productivity, and population well-being. To appraise the validity of the model, we consider five questions: (i) is there a robust and usable definition of workplace well-being? (ii) have the variables that influence well-being been aptly described and can they be measured and used in risk assessments? (iii) what is the nature of evidence that well-being is linked to productivity? (iv) what is the state of knowledge on the effectiveness of interventions to promote workplace well-being? and (v) should interventions aimed at improving well-being at work focus on more than work-related factors?